Our tacos are made from scratch using the finest ingredients available. It is quick service food but also fresh and healthy. The food preparation starts from the early morning to serve you. Please enjoy delicious flavors. We make our corn tortillas from scratch every day at the restaurant. Corn tortillas give our tacos a rich flavor and you'll be hooked at the first bite. 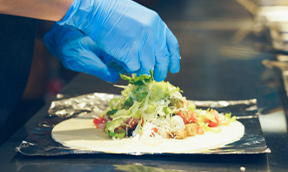 Our Burritos are made from flour tortillas, giving them a wonderful soft texture. 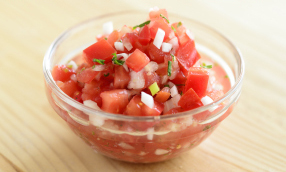 Our Salsa is made with tomatoes, onions and carefully selected chiles and provides a delicious spicy kick of flavor. We customize the long-loved traditional flavors of Mexico and America to match the tastes of the Japanese connoisseur. 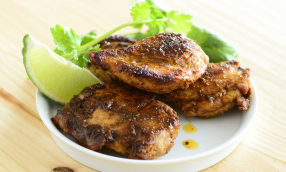 Our freshly grilled chicken and braised pork are specially marinated and slow cooked to maximize their natural rich flavors. Our shrimp is carefully marinated and finished with a sizzle of Tequila in the traditional Mexican style. ©TACO RiCO. ALL RIGHTS RESERVED.